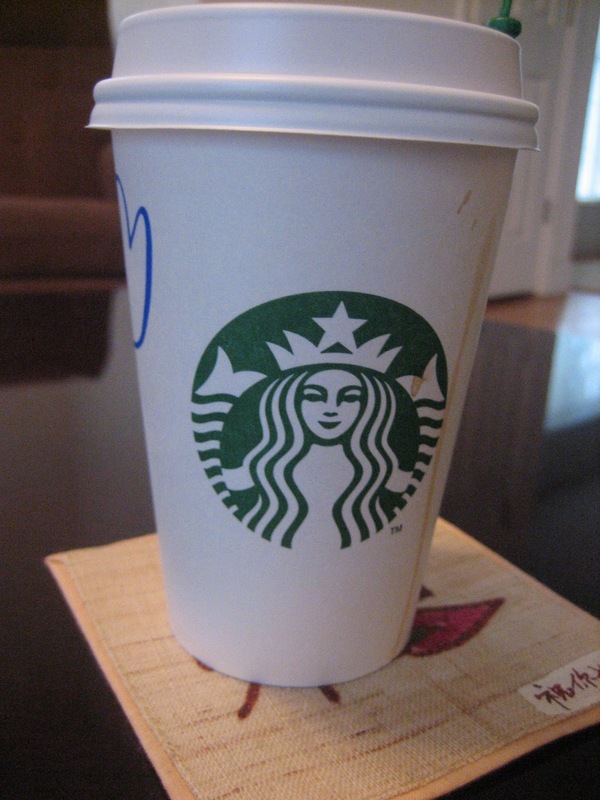 Is anyone else creeped out by this huge head coming toward your face every time you want a sip of your latte? Ugh. But today's trip to Starbucks wasn't all sadness and disappointment. The trivia question of the day was "Where is Walden Pond?" Lucky for me, I've been there! We visited last spring when we went up to Boston. We walked around it and then waded in to our knees. The water stunk so bad. 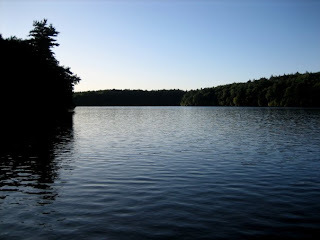 I knew one day it would be fun to say, "Oh yeah, I've been to Walden Pond. I've been in Walden Pond." But I am pleased to say that that experience paid off in 10 cents off my drink today! Oh this Starbucks 40-year tribute thing does bring one fun thing: tomorrow (Thursday) through Saturday, go to Starbucks between 2-5 PM and get a free Starbucks petites when you order any handcrafted beverage. The new Starbucks petites are these really cute, delicious looking desserts, including cake pops! Is Bakerella getting some sort of credit for these cake pops? Did she trademark them or patent them or whatever you do with a new cute dessert craze? Because she would be making bank if she did. 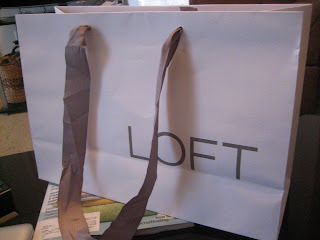 In other news, I do like the new Ann Taylor Loft bags. I don't actually know how new they are, but they are much better than the old plastic ones with the black strings that they used to use. The bags are thick and cool-feeling and the handles are made of really pretty grey ribbon! Way to go Loft, I love your new bags. 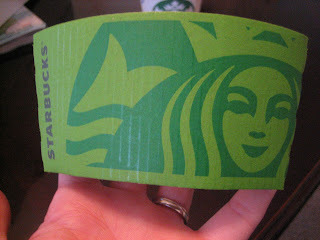 Which is more than I can say for Starbucks' new cups.